Helping your overall oral health, diet, speech, appearance, and self-esteem. All-On-Four Implants will restore your smile’s beauty and function. Are you tired of slipping and sliding dentures? Tired of missing teeth? All-On-Four dental implants can replace the upper or lower arches of your smile with only 4 implants. In fact, studies have shown All-On-Four is stronger than conventional dental implants. No need to bounce from office to office. We have the dental experts to take care of all of your dental needs. Most people are candidates for All-On-Four Dental implants. During your consultation, our expert team will conduct a thorough evaluation to determine if this treatment is right for you. 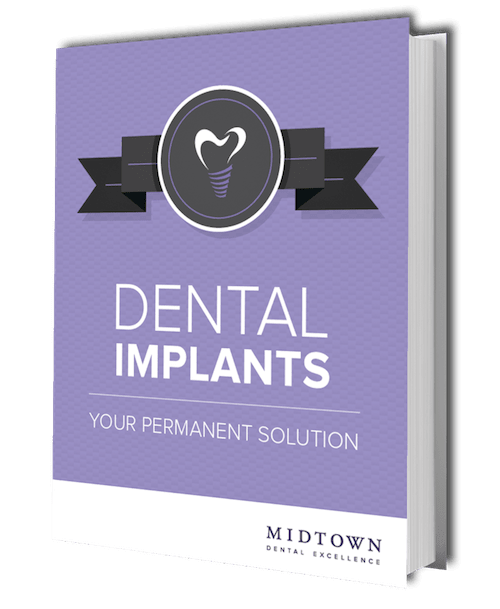 Using the best 3D technologies, our New York implant dentists can place the four implants right here at Midtown Dental Excellence. Our exquisite dental lab will design and build your All-On-Four prosthesis with digital technology. In the meantime, our team can create temporary crowns, so you can leave our office smiling while your permanent smile is being designed. Midtown Dental Excellence combines the latest dental equipment, innovative techniques, and collaborative care to give you the best dental care. By investing in the latest digital technology, your results will be more predictable and comfortable. Our implant specialist will use a CT scan to produce a 3D image of your mouth and teeth. We can show you where we’ll place the implants and what you can expect during the oral surgery. This modern scanner creates 3D real-life images of your bite, teeth, and smile. 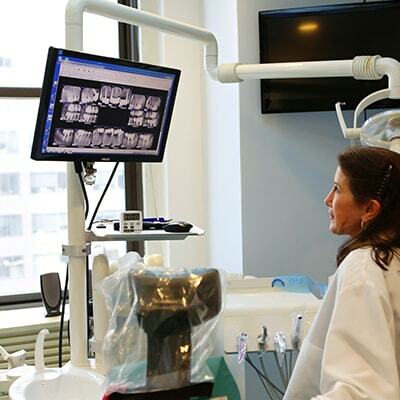 This allows our Manhattan implant dentists to create digital impressions and send them over to the dental lab without hassle to create a beautiful, functioning All-On-Four prosthesis that’ll blend and fit with your new smile. Have Questions About All-On-Four Dental Implants? Get the answers straight from our dental experts. Believe it or not, the All-On-Four dental implants procedure is not a painful process. We offer modern anesthetics and sedation methods to ensure your treatment is comfortable, and your temporary teeth act as a bandage to help reduce swelling. You’ll experience minimal swelling, but we recommend you allow 4-5 days for recovery. As with other oral surgeries, it’s best to eat soft foods (scrambled eggs, tuna salad, applesauce, etc.) for the first day or so and avoid using a straw. Be kind to gums for the next few days by avoiding hard foods. The complete healing process usually takes about four months as your implants integrate with your jawbone (also known as osseointegration). Once I get my All-On-4 prosthesis, will my home care differ? 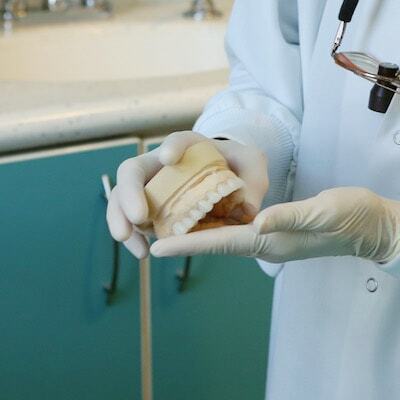 The prosthesis is designed and customized to adapt and fit with your gum tissue. Food rarely sneaks underneath, and it’s hygienic and easy to use. We’ll provide a quick and easy homecare routine to keep your new smile healthy and clean. It’s a smart investment to go with All-On-Four dental implants compared to traditional dentures because they are designed to last a long time and are secured to your jawbone. We’ll do whatever it takes to make this process as easy as possible for you. This includes making it affordable. Please talk to us how we can help stretch your dental dollars and accommodate your budget. Ready To Give Your Smile a Second Chance? Call us today about All-On-Four Dental Implants and get your smile back!